The World Day of Puppetry, is celebrated every year on March 21st. It is a time to celebrate the fun, joy, and magic of the art of puppetry. 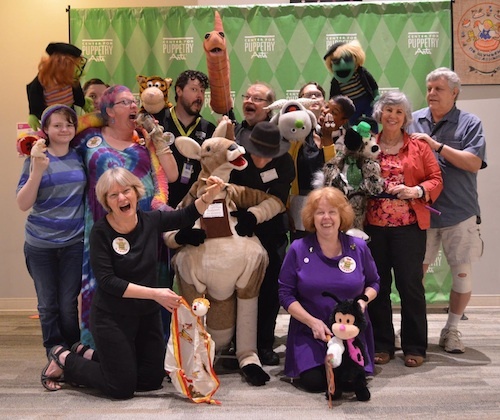 The Atlanta Puppetry Guild will be doing puppetry demonstrations at the Center for Puppetry Arts on Saturday, March 24th, to celebrate World Day of Puppetry 2018. How can you help to celebrate puppetry? Go to a puppet show at the Center for Puppetry Arts. Buy puppets for your children and teach them how to perform with them. Or even make a puppet of your own and share it with your friends, family, and neighbors. For more information on the World Day of Puppetry, please see the page about it on the Puppeteers of America website. Our 2016 World Day of Puppetry Report is now available, courtesy of guild member Paulette Richards.